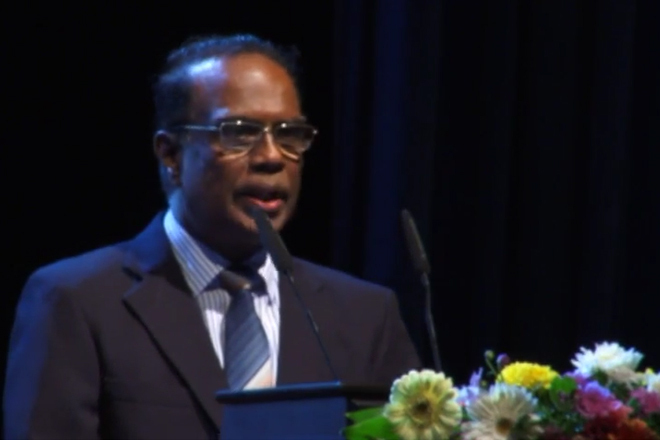 Aug 15, 2016 (LBO) – Sri Lanka has bounced back over the last year and now embarks upon a journey of good governance which promotes transparency in judicial governance, island nation’s Chief Justice said. Chief Justice K Sripavan, delivering remarks at the inaugural session of the 29th Lawasia conference, said the way forward for the country at this crucial juncture is to create a society where there is social and economic Justice. “Over the last three decades Sri Lanka passed through times of trials and tribulations during which time our judiciary tried hard to dispense Justice under tremendously trying circumstances,” Sripavan said. Justice Sripavan highlighted that it has now become necessary to reevaluate the functioning of the judiciary and to bring about a qualitative change in the Justice delivery system inline with the hopes and aspirations of the people. “The dramatic rise in case loads in all our countries and the inordinate delay in settling disputes via the traditional system calls for an urgent revaluation of our methods,” he said.